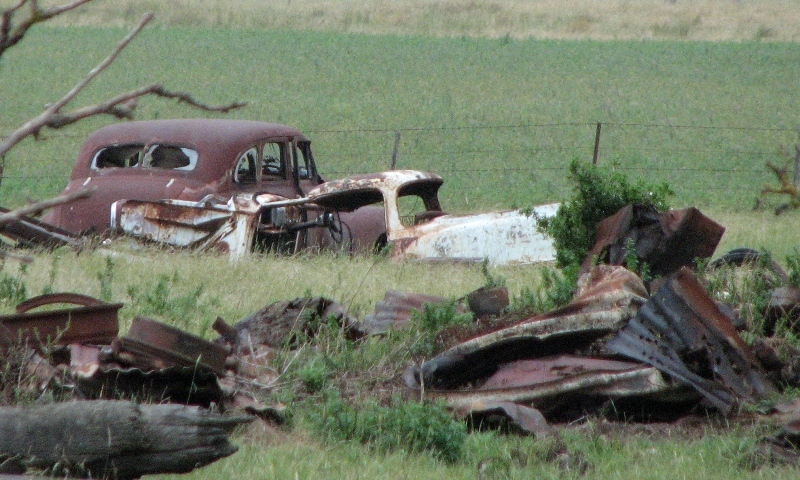 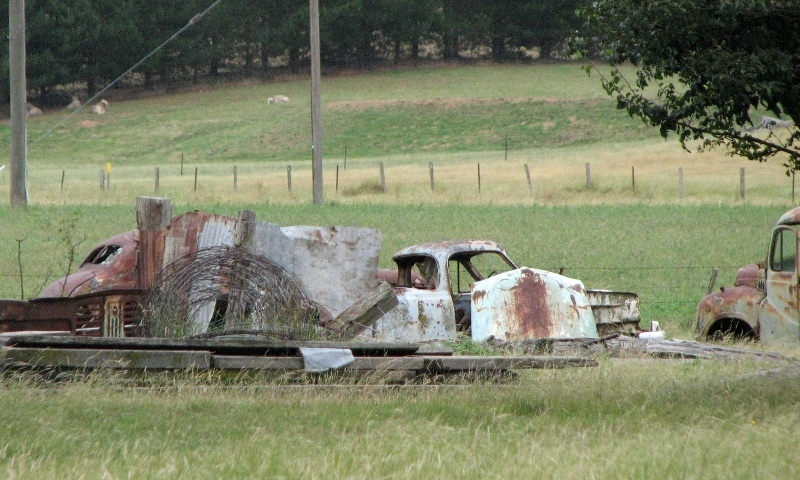 These old beasts are rusting away within spitting distance of the Hume Highway – how cruel is that? 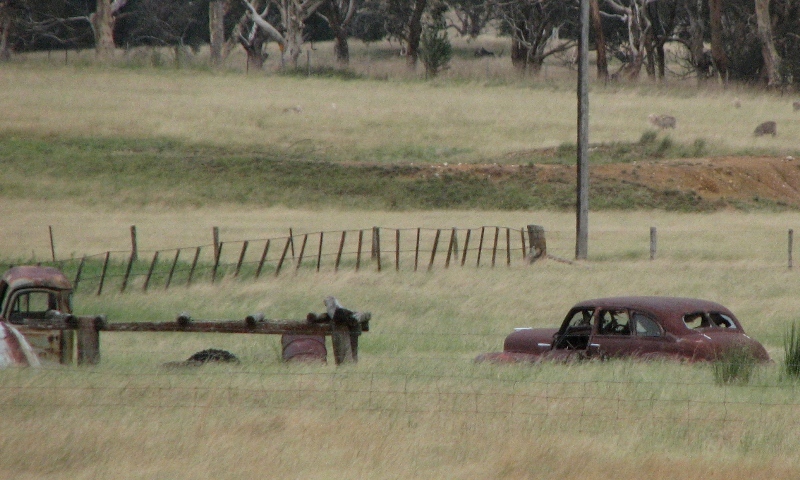 Wonder if they’ll ever be dragged outa there to see the road again? 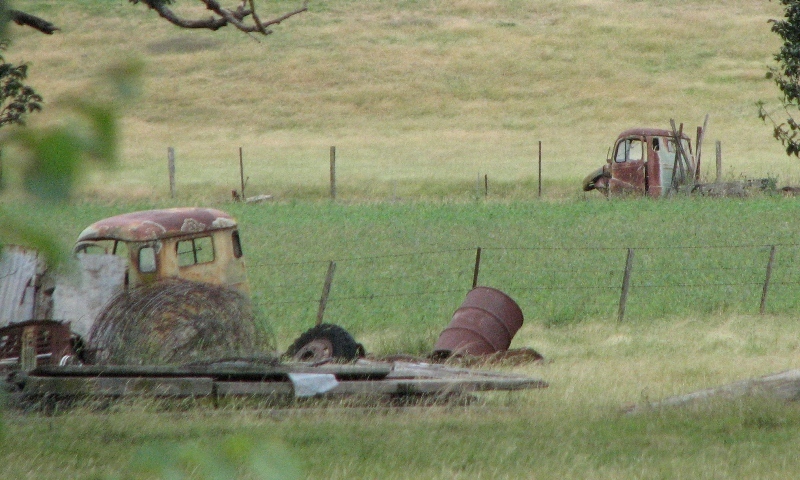 There’s a couple of FE-FC utes, a couple of late ’40s Chevs, and a couple of the trucks (which I recognise but for the life of me the brand escapes me).